§ 146-1. Intent of Subchapter. § 146-2. Department of Administration given control of certain State lands; general powers. § 146-3. What lands may be sold. § 146-4. Sales of certain lands; procedure; deeds; disposition of proceeds. § 146-5. Reservation to the State. § 146-6. Title to land raised from navigable water. § 146-6.1. Repealed by Session Laws 1977, c. 366. § 146-7. Sale of timber rights; procedure; instruments conveying rights; disposition of proceeds. § 146-8. Disposition of mineral deposits in State lands under water. § 146-9. Disposition of mineral deposits in State lands not under water. § 146-11. Easements, rights-of-way, etc. § 146-12. Easements in lands covered by water. § 146-13. Erection of piers on State lakes restricted. § 146-14. Proceeds of dispositions of certain State lands. § 146-14.1. Natural Resources Easement Fund. § 146-15. Definition of net proceeds. Article 3 - Discovery and Reclamation. § 146-16. Department of Administration to supervise. § 146-17. Mapping and discovery agreements. § 146-17.1. Rewards; reclamation of certain State lands; wrongful removal of timber from State lands. § 146-18. Recreational use of State lakes regulated. § 146-19. Fishing license fees for nonresidents of counties in which State lakes are situated. § 146-20. Forfeiture for failure to register deeds. § 146-20.1. Conveyance of certain marshlands validated; public trust rights reserved. § 146-21. Intent of Subchapter. § 146-22. All acquisitions to be made by Department of Administration. § 146-22.1. Acquisition of property. § 146-22.2. Appraisal of property to be acquired by State. § 146-22.3. Acquisition of land to be used to restore, enhance, preserve, or create wetlands. § 146-22.4. Acquisition of wetlands from private mitigation banking companies. § 146-22.5. Reimbursement of payment in lieu of future ad valorem taxes. § 146-23. Agency must file statement of needs; Department must investigate. § 146-23.1. Buildings having historic, architectural or cultural significance. § 146-23.2. Purchase of buildings constructed or renovated to a certain energy-efficiency standard. § 146-24. Procedure for purchase or condemnation. § 146-24.1. The power of eminent domain. § 146-25. Leases and rentals. § 146-25.1. Proposals to be secured for leases. § 146-26. Donations and devises to State. § 146-27. The role of the Department of Administration in sales, leases, and rentals. § 146-28. Agency must file application with Department; Department must investigate. § 146-29. Procedure for sale, lease, or rental. § 146-29.1. Lease or sale of real property for less than fair market value. § 146-29.2. Lease or interest in real property for communication purposes. § 146-30. Application of net proceeds. § 146-30.1. Application of net proceeds of disposition or use of real property allocated to the 4-H Camping Program. § 146-31. Right of appeal to Governor and Council of State. § 146-32. Exemptions as to leases, etc. § 146-33. State agencies to locate and mark boundaries of lands. § 146-34. Agencies may establish agreed boundaries. § 146-35. Severance approval delegation. § 146-36. Acquisitions for and conveyances to federal government. Article 9 - General Provisions. § 146-37. Intent of Subchapter. § 146-39. Void grants; not color of title. § 146-40. Record of surveys to be kept. § 146-41. Former surveys recorded. § 146-42. What record must show; received as evidence. § 146-43. Cutting timber on land before obtaining a grant. § 146-44. Card index system for grants. § 146-45.  Grant of Moore's Creek Battlefield authorized. Article 12 - Correction of Grants. § 146-46. When grants may issue. § 146-47. Change of county line before grant issued or registered. § 146-48. Entries in wrong county. § 146-49. Errors in surveys of plots corrected. § 146-50. Resurvey of lands to correct grants. § 146-51. Lost seal replaced. § 146-52. Errors in grants corrected. § 146-53. Irregular entries validated. § 146-54. Grant signed by deputy Secretary of State validated. § 146-55. Registration of grants. § 146-56. Time for registering grants extended. § 146-57. Time for registering grants and other instruments extended. § 146-58. Time for registering grants further extended. § 146-59. Time for registering grants or copies extended. § 146-60. Further extension of time for registering grants or copies for two years from January 1, 1947. § 146-60.1. Further extension of time for registering grants or copies for four years from January 1, 1977. Article 13 - Grants Vacated. § 146-61. Civil action to vacate grant. § 146-62. Judgment recorded in Secretary of State's office. § 146-63. Action by State to vacate grants. Article 14 - General Provisions. § 146-65. Exemptions from Chapter. § 146-66. Voidability of transactions contrary to Chapter. § 146-67. Governor to employ persons. § 146-68. Statutes of limitation. § 146-69. Service on State in land actions. § 146-70. Institution of land actions by the State. Article 15 - State Land Fund. § 146-71. State Land Fund created. Article 16 - Form of Conveyances. § 146-74. Approval of conveyances. § 146-75. Execution; signature; attestation; seal. § 146-76. Exclusive method of conveying State lands. § 146-77. Admission to registration in counties. § 146-78. Validation of conveyances of state-owned lands. Article 17 - Title in State. § 146-79. Title presumed in the State; tax titles. § 146-80. Statute of limitations. § 146-81. Title to lands sold for taxes. § 146-82. Protection of interest in lands sold for taxes. § 146-83. Vested rights protected.